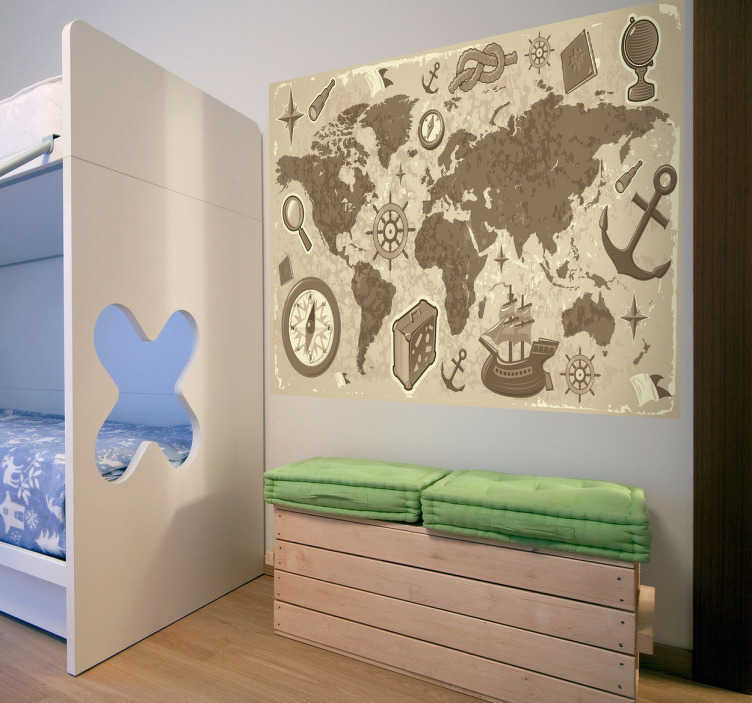 Kids Wall Stickers - A fun way to scroll through the world with this wall mural. Cross countries and entire continents with imagination and become a great explorer. Ideal for bedrooms and areas for children.